If you have to showcase your novel – perhaps for a reading, a book trailer or as an excerpt on a blog or website, how do you choose a piece to do it justice? I recently gave a reading at a book event in London – a landmark as it was my first – and choosing an excerpt was a little more tricky than I anticipated. I’d assumed I’d read from the beginning. Surely that was a no-brainer. There would be no need to explain anything. It introduces the narrator, charms you into the story world. But then I was listening to Radio 4’s Film Programme and noticing how they teased a movie they were about to feature. There would be a short spiel about the premise and then a clip. It wasn’t the beginning, but the first plot point, the first irrevocable step into a new and perilous situation. So although we hone our beginning so that it grabs, it’s perhaps not for a live situation. It’s for settling down with, not standing up. So I looked at my first plot point. Out of context, it was too baffling. I tried my narrator’s first hypnosis session when she goes to the future. It was spooky, but much of its power came from the interplay with the two characters. It was as much about them as it was about what they were doing, but if you hadn’t got involved with them I feared it wouldn’t sizzle. But not long before that was a scene where my narrator’s best friend is hypnotised back to the time of Jack the Ripper. This is the way hypnotic regression conventionally works, and I’d written it partly to ground the reader, to present them with the idea in familiar guise before I started to warp it. This excerpt is easy to understand if you come to it cold, it has plenty of drama and it’s narrated by a horrified friend. It’s self-contained. Perfect. I had to fit into a strict five-minute slot. Reading at a pace listeners can keep with, that’s less text than you might think – though it seemed for ever with all those faces watching me. Five minutes gave me two sides of text from my print edition. I didn’t use the excerpt exactly as it appears. I removed sections that you could only understand if you’d read the earlier scenes. An audience’s attention will wander easily and if you confuse them, you lose them. I also trimmed the description of what the hypnotised Jerry sees in the regression. In the book, it’s part of the veracity of the experience and the details are significant later, but in radio drama descriptions tend to be shorter. Writing that works for the eye doesn’t always hold the attention of a listener. But even if your excerpt will appear in print, consider whether you need the extra details that only make sense in the full work. As I said, I’d never read my work out loud before, even in the writer-friendly confines of a bookshop. This event was taking place in a pub. Not a place where people go to read. We had a stage and a microphone, but the crowd had their cronies and beer. They were too nice to heckle, but we had to win them over. Delivery made a huge difference. Some readers kept their noses in their novels and never looked up. Their excerpts might have been great, but they were reading to themselves and after the first sentences the general rustle of conversation rose. The readers who commanded attentive silence looked frequently into the crowd and told their stories with a bit of swagger. Dammit, we’re storytellers. We hold our reader with our conviction on the page, and stand-up reading needs that confidence too. (You can guess which option I favoured. It worked.) Afterwards I talked to a seasoned pro who had roared and waved through his piece and he confirmed that you could never overdo the drama. Of course, take copies of your books. But those of us who were new to the crowd didn’t sell many copies, because people don’t usually buy the first time they hear about you. Or they might want ebooks. But they will take other souvenirs and it’s worth cramming in as much as you can – bookmarks, catalogues, flyers. 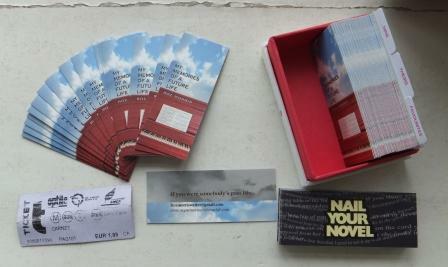 I had dinky Moo cards, beautifully printed slivers the size of a French train ticket. All of them disappeared. Such was my experience. Have you got any tips to share, either as an audience member or from reading your own work at events? Share in the comments! This entry was posted on July 29, 2012, 4:29 pm and is filed under Book marketing, How to write a book, The writing business. You can follow any responses to this entry through RSS 2.0. You can leave a response, or trackback from your own site. Pleasure, Madison! Thanks for saying hello. mmm, Moo mini cards are just the best things ever. Great piece. I’ve hosted a lot of readings and it’s something many writers struggle with. Five minutes is pretty much spot-on for a reading – many people fall into the “more is more” trap but that’s close to the limit for attention span. Excellent advice about avoiding the beginning – and avoiding anything that requires too much explanation (so many times people either go on for so long introducing a passage the audience has given up before it begins, or the flow gets interrupted at a key point to say “Oh, that’s so and so we met when and when”). And abridging is a very good plan. The other thing I’d recommend is picking a passage that mixes dialogue and description – show off all your assets – your reading extract is like a Victorian sampler, revealing your whole box of literary tricks. If you can find a section that has a good narrative arc that works for the same reason. On the subject of delivery (and choosing pieces), it’s something I’ve dedicated 3 or 4 of my bimonthly columns in Words With Jam to. The very best tip I can think of, which an actor friend gave me before my first reading, is rehearse what to do with your spare hand so you’re not suddenly thinking about it when you get up there. What is a mini moo card? They’re those dinky little devils in the bottom pic. Like business cards, but cut in half longitudinally. Printed on thick matte card with lovely colour repro. Adorable. Dan, I knew you’d have a lot to contribute here. This is absolutely your element. I’m glad you got here so quickly. The five-minute limit was set by the organisers as they’d found with other events that it was about the optimum attention span. But finding a piece to fit was a challenge. Nice point about showing dialogue etc – I found when I was listening to others that the pieces with more ‘life’ in them had this variety. And that’s another reason not to read from the start of a novel, because it’s more likely to be a considered introduction. you absolutely can’t beat a glove! Ooh that must be tricky. We journalists are used to fitting the space they’re given, regardless of how precious the copy is! Excellent advice to not read from the beginning of the novel. These are great tips that I plan to use in the near future! Thanks, I also Tweeted this post. Thanks, Suzanne – best of luck. Very useful advice and analysis of how to choose, how to read, what to think about and take. For any novice very useful. 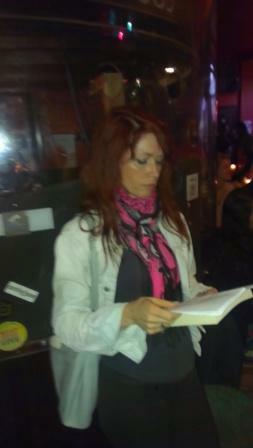 I recently attended a book launch in which a professional actor read a relatively undramatic passage from a novel. It was ‘plot’ significant, but undramatic. It was so well read that the audience was truly hooked ( admittedly not a pub with other companions) and many books were sold. It taught the most important lesson. Make the most of the dramatic potential of the text itself, and read really slowly! Roz, I too just had my first reading for BABY GRAND and am writing a blog post about it. Our experiences were so similar! Terrific post! Dina, it’s too spooky that we’ve coincided like that. 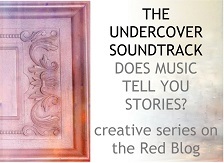 Especially in the week you guested on The Undercover Soundtrack. Hope yours went well. DM me on Twitter and I’ll share your post around. These are great suggestions!! I found myself doing the same thing as far as a 5-minute read for a retreat last year–editing out parts that would otherwise be incomprehensible without the rest of the plot. Glad to know I’m on the right track (great minds think alike). And YES–absolutely read slowly. That is key. 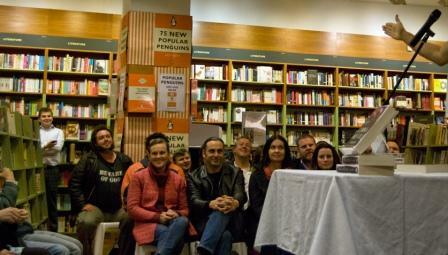 This is, after all, the first time your audience has heard the text, unlike the writer who has read it 50 billion times! Hi Carol! Good reminder that the audience doesn’t know the text – and that’s another reason to make sure the drama in it comes through. I had a little voice going in my brain saying ‘guys, this is IMPORTANT’! Glad that you came to roughly the same conclusions as me. Great advice! I’m glad it went well. Ignorant me–I’d never heard of moo cards, so I had to do an internet search. At half the size of a business card, why do you think they’re so popular? Deb, those cards are the last word in cute. It’s the thickness (like a Continental train ticket, tres chic), the colours (very good colour printing which makes your artwork look fab). They’re substantial enough for people to want to keep them as bookmarks and small enough that they don’t take up as much room as a conventional bookmark. In short (ho ho) they look arty and edgy. Any other Moo fans? Dan….? Gasp, the packaging. The boxes are substantial and lined with vibrant colours, like a bespoke suit. I’ve had 4 orders from them so far and they’ve never repeated the lining colour. And the personality. The envelope has a label on the outside saying ‘Contents: Moo.’ Somehow that really pleases me. They make regular-sized business cards as well. Dave had a set of 100 made for his graphic novel Mirabilis, with a different image on the back of each. When he goes to meetings or bookshops, he fans them out and says ‘which one do you want’? Great also if you have more than one book to promote, you could have different covers in each. Yes, Moo cards are GREAT. And just different enough that people really like them and remember them. How helpful – such a well-thought out approach makes the whole thing so much easier. Thanks for the advice. 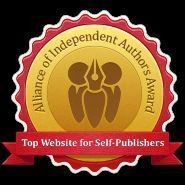 I’ve struggled with what part of my novel to submit when I’ve been featured on blogs in the past. I think as writers we do tend to focus on showcasing the beginning of our stories when we share excerpts, but I never realized that even the beginning of the story isn’t really the beginning, as all stories start “in medias res” :-). Thanks for dropping by, Amanda – good luck with the showcasing. I can’t wait to use this advice. Congrats on your London reading! Thanks for the congrats and may you get to holler your chapters very soon. Great post, Roz! My local writers group has a monthly open mic, and it’s been a great experience. We have so many reading that the five-minute time limit is key, and that always makes me practice ahead of time to make sure I have a selection that fits in the time frame. If you have open mic or other opportunities similar to that, I really recommend them – it’s a great way to get some practice and test out various passages for audience reaction. As you said, selection really is key. WITH accents, Jennie? You must really be hitting your stride. I’m sure if I tried that I’d forget when to sound like what. Or it would slip into Welsh – a sort of default accent Brits adopt when accenting goes wrong. But you make a great point here about contact – audiences won’t connect with you if you don’t reach out to them. Thanks, Ileandra. Go forth and orate! I am not published and I have never done a reading, but I was fascinated to read how you went about this. I have read a couple of other posts on here and would like to follow. There is much for me to learn here. Thank you. Lots of great stuff here. It even gives me ideas for selecting bits to post online as teasers for pulling in new readers from various online sources. Bookmarking this post for future reference. Thanks for sharing, Roz (and commenters)! Thanks, Teddi. 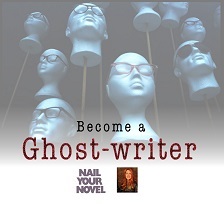 Having chosen my excerpt, I’m thinking of showcasing it on my novel’s blog too. Interested to know whether you applied the auditory ‘edit’ to the audio book recently released? I realise that when you are expecting the listener to embark on the whole book maybe you don’t apply the ‘hooky’ agenda, but the difference between reading and listening does make for a different experience and interested in how a writer discriminates…this may be pertinent if I stay the course! Good question. I didn’t. The context was different, really: I was reading from the beginning and the audience would have all they needed to understand everything. Also, it would be listened to in an intimate environment of me and their ears. That’s quite different from a noisy pub where you’re having to magnify and grab attention. So I trusted that if I read the book from the beginning I would keep people enthralled by ear just as I hoped they would be if they encountered it through their eyes.